Like any piece of machinery, wind turbines eventually wear out and need to be replaced. And in Europe, instead of just salvaging them for scrap when dismantled, they often find better uses like turning them into playground equipment. How often have you seen a turbine blade being delivered on a truck and thought it would make for one hell of a slide? 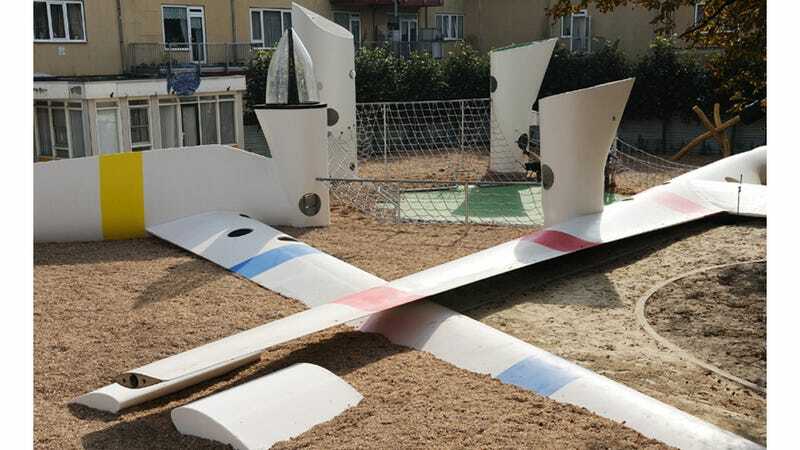 Well the designers at 2012Architecten clearly had the same idea as they used five discarded turbine blades to construct the Wikado playground at the Kinderparadijs Meidoorn facility.